^-^ aww, arnt they cute?? 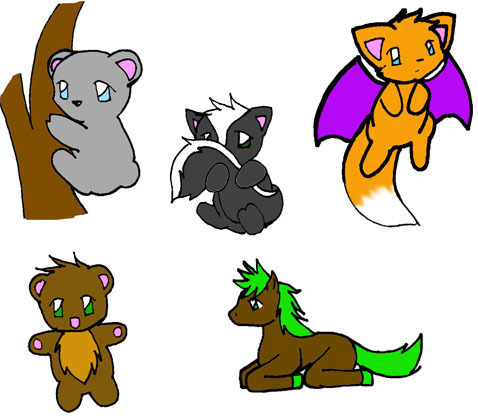 this is PG 1 of my examples for the adoptable pets im making and selling on Gaia! ^-^ what do you think? can i have the skunk? I love the pic! Are they adoptable? O then can i please adoppt the winged fox? Please? :3 of course you can! Thanks a million times!!!! The name will be Foxclaw! Thanks again!!!!!! awesome! The cat is adorable! Awww... it really look so sweet!